PHUKET: The Deputy Chief Executive of the Kamala Sub-district Administrative Organisation, Mr Nopporn Karuna, has today (Nov 3) confirmed that he will call in all beach vendors operating at Kamala Beach over the legal and illegal aspects of their operations. 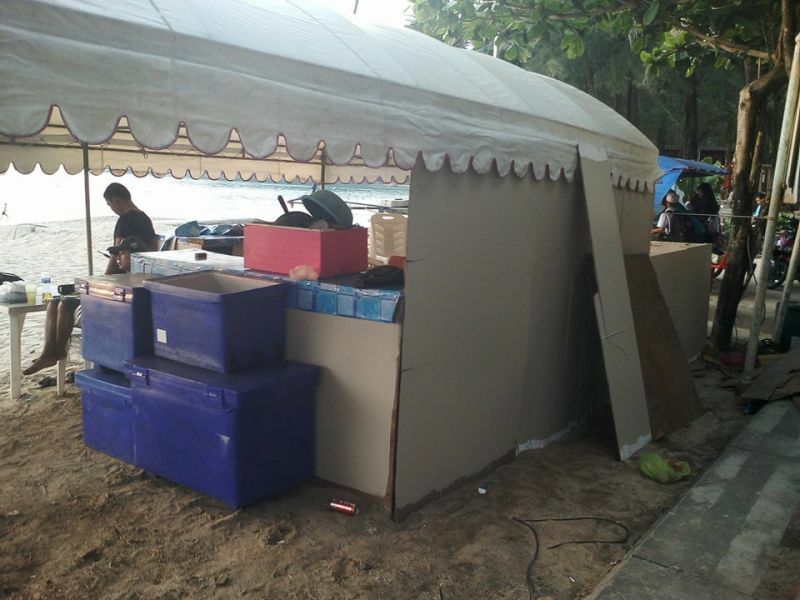 Mr Nopporn has said that all the vendors, including jet-ski operators, masseuses and restaurant owners will be called in at the same time within the next two weeks after The Phuket News received photos from a reader of makeshift restaurants being set up on Kamala Beach and advised him of the situation. It also follows Mr Nopporn telling The Phuket News last Tuesday (Oct 24) that he would call in jet-ski operators “after the Royal Cremation ceremonies”, after receiving complaints of many jet-skis being parked in public areas. “The Kamala jet-ski operators will be called on to change their attitude after the Royal Cremation ceremony,” Mr Nopporn said on Oct 24. “We have spoken to them before about the issue of OrBorTor regulations on public parking, but, it seems like they don’t want to follow the rules. We must figure out this issue with them promptly. 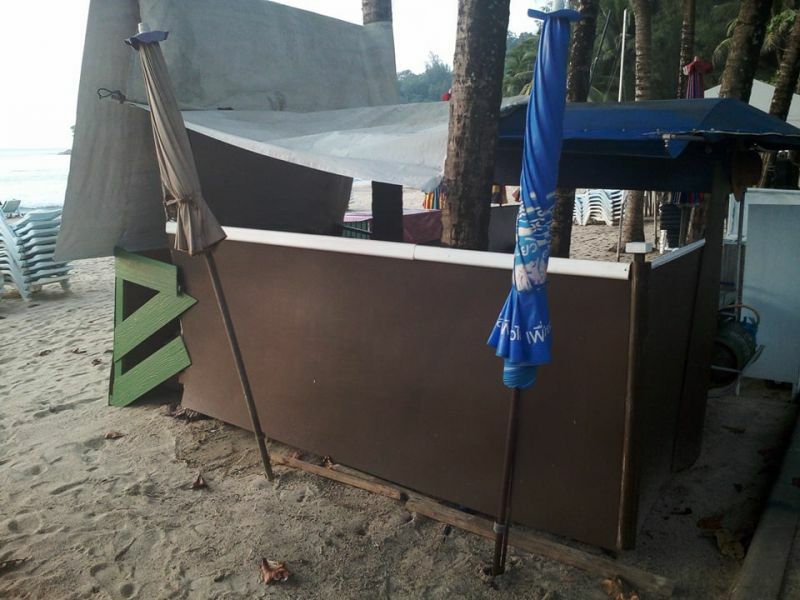 “If any members of the public see people misusing public parking areas or on the actual beach, please contact to 098 259 8861 to report the suspected violations,” Deputy Chief Nopporn added. (See story here). 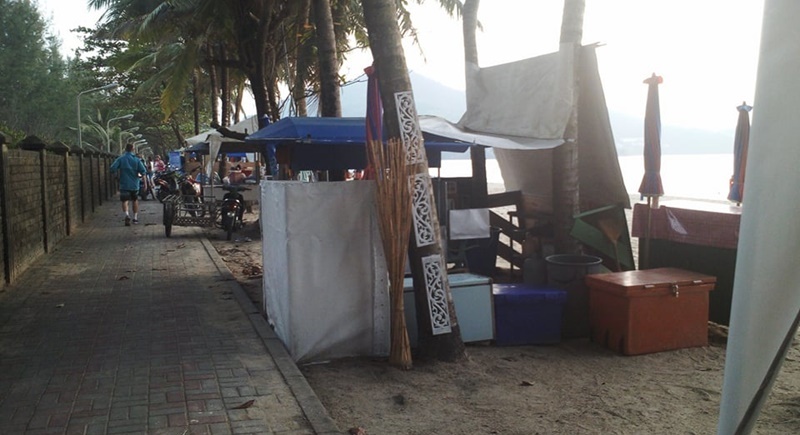 Speaking to The Phuket News today, Mr Nopporn said, “We want to organise it so that all those operating illegally on the beach, including jet-ski operators, food vendors, masseuses, and people taking money for toilets, will all be called in for a meeting, at the same time,”. “This has yet to happen because we are busy trying to come up with some long-term solutions. There are so many different issues with regards to business operators on Kamala Beach,” he said. “It is an entire community. It is really untidy,” he added. “If we tell them to go, they will simply return after a while. We are thinking of solutions to bring to the discussion as well,” he added. “But, we will call all the operators in for a meeting within the next week or two and remind them of the rules. “If they do not abide by the rules, we will have to enforce the law, such as by getting soldiers to raid the beach,” Mr Nopporn said. "Edited a little" What is this? Publish a comment complete or don't publish it at all,but stop shorten it.Especially if your "surgery" is changing the whole statement. Facing the music? What music? Government officials who friendly ask the law breakers instead of enforcing the thai laws? Nothing at Phuket beaches is under control by government administrations. Any 'beach operator', whatever his business is, laughs and go his own way.